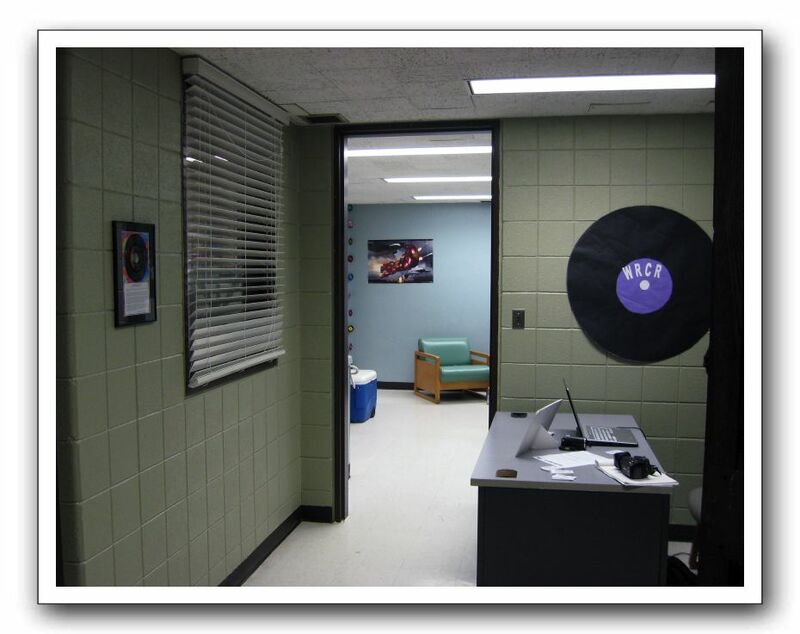 The office of Rockford College Radio. WRCR used this same space as an office when it occupied this space in lower Burpee Center. The control room is through the window on the left. Straight ahead is the lounge. Hanging on the wall at the left is a framed copy of the 5th Dimension's Aquarius which was presented to the staff of Rockford College Radio by the WRCR Alumni during the fall 2010 reunion weekend. There are photos from this same spot in the WRCR 3.0 galleries.